Most health experts agree that the best way to approach weight loss is with a healthy diet, regular exercise and patience. Unfortunately, this doesn’t work for everyone. For some people, the faster they can lose weight the better—for their health! By now, it’s well known and universally accepted that obesity increases the risk of someone developing diabetes. 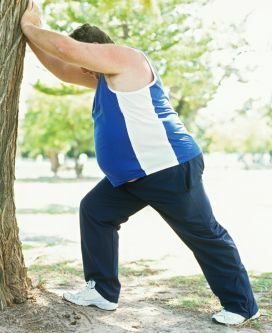 Recent studies, however, have proven that obesity also increases a person’s risk of developing cancer. According to the National Cancer Institute, obesity can lead to cancer in a variety of ways. One study, reported by the LA Times, says that obesity can seriously impact the microbes that live in a person’s “gut.” These changes cause the bacteria that live there to start producing chemicals that will damage a person’s DNA. This can then increase the likelihood of cancer taking hold. Unfortunately, these changes can’t simply be undone by suddenly starting to eat a balanced diet. A person must actually lose weight and get them back down to a healthy weight range to reverse the changes that have been happening to them hormonally and on a cellular level. For some, this means taking drastic measures, like bariatric surgery. According to Dr. Andrew Averbach, a bariatric surgeon based in Baltimore, the best way for some people to get back on track is to have a laparoscopic vertical sleeve gastrectomy. This procedure removes a huge chunk of the patient’s stomach, effectively turning the stomach into a tube or sleeve shape. Dr. Averbach says that the biggest benefit of the procedure is that it drastically reduces the amount of food a person can take in at one time. This, effectively, forces the patient to learn new (and healthier) eating habits. Losing weight isn’t always simply about the weight, though. For many, it is also about their self image. Weight loss—especially drastic weight loss like the sort brought about by bariatric surgery—can cause sagging skin, scars, and other issues. These problems might seem superficial but they can be major hazards for people who have struggled with obesity for a long time. Effectively, the person still looks obese even after they lose weight. Unfortunately, while it stretches, skin doesn’t typically shrink, especially if it spends a prolonged period of time stretched out. This is why many people choose to undergo plastic and reconstructive surgery after they get down to a sensible weight. Not every plastic surgeon performs procedures related to weight loss correction. Often weight loss surgery patients can get recommendations for plastic surgeons from their bariatric and gastronomic surgeons. For instance, patients of Dr. Averbach can ask him to recommend the top rated plastic surgeon in Baltimore to help their recovery from drastic weight loss. When the outside of a person matches the inside of a person, he or she is more likely to maintain a dramatic weight loss—even if they came by it naturally. Remember: even with surgery, weight loss takes time. A person does not automatically drop fifty pounds upon having bariatric surgery. It will take a few months to get down to a healthy weight and to figure out how to eat (most patients already understand the “what” of a healthy diet) properly. Still, where cancer is concerned: it’s better to only have to wait a few months to reduce your chances than a few years! The above article is a guest blog entry. On 8/10/13, MedFriendly, LLC, published a comprehensive online review on drug rehabilitation. Drug rehabilitation is a term for medical and/or psychological treatment of people who are dependent on mind-altering substances such as alcohol, prescription drugs (e.g., painkillers, sedatives), and street drugs (e.g., crack cocaine, heroin, or amphetamines). Detailed information is provided on various medical and psychological treatments. The drug rehabilitation entry is the latest in hundreds of easy to understand entries available for free at MedFriendly.com. All entries on MedFriendly are written in an easy to understand format, with all complex terms defined within the same entry. This prevents the reader from needing to do extra research to understand what the writer is trying to convey. All entries are written on a single page, exposing the reader to fewer ads. Please share this link with others, bookmark MedFriendly and the MedFriendly Blog, and follow us on the MedFriendly Facebook and Twitter pages. Fruits and vegetables can be a delicious and refreshing part of a healthy diet. However, just because fruits and vegetables are healthy and tasty does not mean that they cannot also be dangerous, particularly in young children. In fact, in a recent study by the American Academy of Pediatrics, fruits and vegetables were listed as one of the top causes of non-fatal choking in children.While hard candy/other candy, meat, and bone were the most common causes of non-fatal choking, most parents realize the need to keep very young children away from such foods or to closely supervise their consumption at young ages. However, because fruits and vegetables are traditionally considered healthy, people do not always pay as close attention to the choking risk involved with their consumption. Sometimes, these choking episodes can result in death. 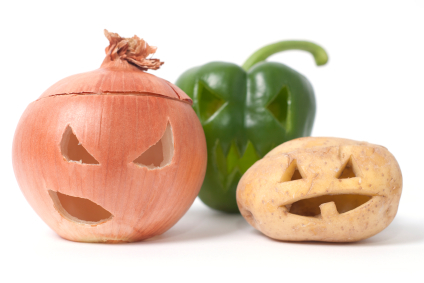 This is particularly the case with raw fruits and vegetables because they are more difficult to chew. 1). 13-month old baby dies after choking on raw orange fruit jelly cube given by parents. 2.) 10-month old baby dies after choking on an 8-mm piece of apple given in a nursery. 3.) 23-month old boy chokes to death after eating sticks of vegetables, including carrots. 4.) 5-year-old child dies 3 days after choking on a fruit gel snack. 5.) 21-month old child dies after choking on a grape. 6.) 2-year-old chokes to death on a carrot at a day school from the teacher’s tote bag. 7.) 3.5-year-old child chokes to death on a banana in school during snack time. 8.) 7-year-old chokes to death on plum pit during school lunch. 9.) 5-year-old girl dies after apparently choking on strawberries. 10.) 5-year-old chokes to death on a grape in front of friends at an after school club. The take home lesson is that fruits should be cut into small pieces prior to consumption, particularly by children (and the elderly). 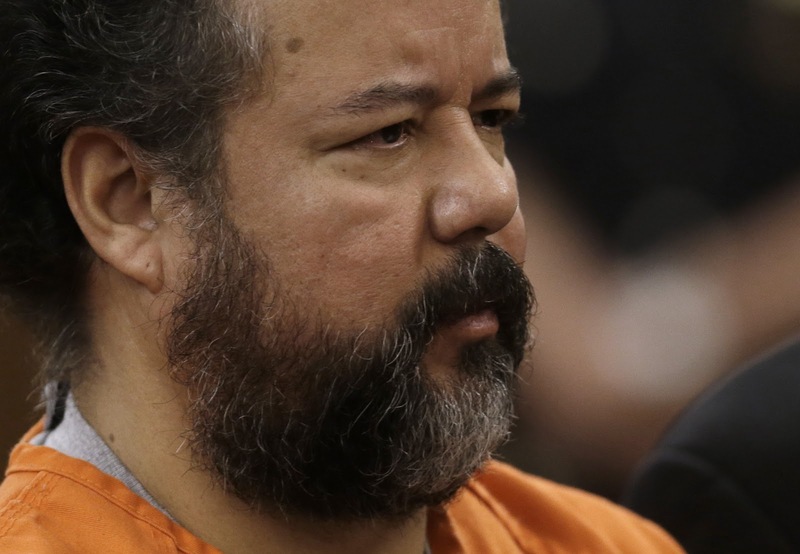 On 8/1/13, Ariel Castro received a life sentence for his role in abducting and torturing three girls for over a decade in filthy conditions while restrained to poles with chains. Casrto had the opportunity to speak in the courtroom and his words were completely consistent with him being a monster and a psychopath (also known as a sociopath). Psychopathy and sociopathy are more colloquial terms for what is technically referred to as antisocial personality disorder (APD). 1. Failure to conform to social norms with respect to lawful behaviors as indicated by repeatedly performing acts that are grounds for arrest. Castro examples: Child abduction, assault, murder of unborn children. 2. Deceitfulness as indicated by repeated lying, use of aliases, or conning others for personal profit or pleasure. Castro examples: Lying to his family and neighbors repeatedly about his whereabouts, why his house had so many restricted areas, and who the child was that he fathered with one of the abductees. 3. Impulsivity or failure to plan ahead. Castro example: He stated today that he impulsively abducted the girls. 4. Irritability and aggressiveness, as indicated by repeated physical fights or assaults. Castro example: Abuse not only to the three people he abducted but also to his ex-wife and children. 5. Reckless disregard for safety of self or others. Castro example: Reckless disregard for the abductees and for the child he fathered by having the child delivered in an empty child pool and never providing her medical care. 6. Consistent irresponsibility, as indicated by repeated failure to sustain consistent work behavior or honor financial obligations. Castro example: Repeated problems at his bus driver job in which he admitted during his statement that he was trying to get himself fired. 7. Lack of remorse, as indicated by being indifferent to or rationalizing having hurt, mistreated, or stolen from another. Castro example: His statements today reveal a lack of remorse as noted below. It is important to note that lack of remorse should not be confused with statements of remorse. Some psychopaths may say the words “I’m sorry” but do not actually mean it as revealed by their actions. In Castro’s statement, a few themes emerged. 1. Reversing the victim role: The very first point Castro made was to paint himself as the victim due to a prior history of abuse. It was a manipulative attempt to take away from the three main victims in this case -- the girls he abducted. He repeatedly referred to himself as an addict, akin to an alcoholic, and sometimes did so with an aggressive demeanor. In fact, by watching his aggressive mannerisms, it is very easy to see how this is someone who could quickly become abusive. In addition, in what amounted to an illogical attempt to gain sympathy, he states that he cannot handle being labeled as a monster because he used to be a musician. Another bizarre attempt to make people feel bad for him was when he lamented how hard it was for him to “juggle” being a bus driver and come home to his “situation,” as if this is the same thing as juggling a job and coming home to make dinner for the kids. 2. Externalizing of behavior: This means that he blamed his behavior as caused by factors beyond his control, such as an abuse history and adult rated material which he claims made him impulsive. This is related to the victim role portrayal and his insistence that he is not a monster but that he is sick. The two are not mutually exclusive. 3. Attempts to hurt the victims: Knowing that the victims must be hurting inside, Castro goes out of his way to point out that he is a happy person inside. He also explicitly attacked the victims of being promiscuous with him and before they met him. This was an attempt to publicly embarrass them with personal information. He also pointed out that no one seemed to care about Michelle Knight when she went missing to make her hurt even more. 4. Attempts to blame others: In addition to blaming the victims he abducted, he also blamed his now deceased ex-wife who he assaulted by blaming her for not quieting down and putting her hands on him. He blamed Amanda Berry for getting into his car without knowing who he ways, but leaving out that she was a young child and that he lured her in. He also blamed the FBI for letting the girls down by not questioning him and stopping him sooner. This was also a way to tell the authorities that he outsmarted them and is a way for him feel powerful over them, which is a driving need of psychopaths. He also called one of the family impact statements uncalled for, despite realizing practically anything a family member would say to him given his behaviors would be called for. 5. Minimization of his behaviors: The best example of this was the comment that “I simply kept them there without being able to leave.” He forgot to add…for over 10 years and by using chains. He also repeatedly used the word “just” as a way to minimize behaviors as in he “just” acted on his urges. He also said that he could not have possibly tortured any of the girls because he sees that they are trying to get on with their lives and that if he tortured them they would not be able to do this so quickly. 6. Denial of reality: All of the prior examples can fall under this general theme, but the highlight of his denials came when he claimed not to be a violent person and a family man who tried to raise the daughter he fathered with one of his victims the right way. He described her living locked in a house for most of her life (6 years) as a “normal life” and stated that there was a lot of harmony in the home.